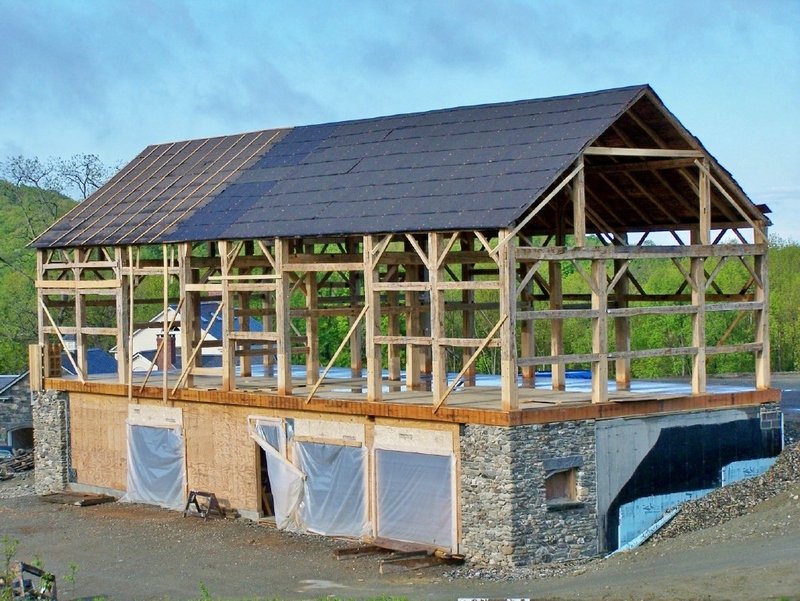 For those of us who have been restoring old timber frames for years, the magic of these buildings goes without saying. But in the more than 30 years since founding Green Mountain Timber Frames, I have often been asked about the benefits of “going old.” Many customers wonder about the reasons to buy and restore an old frame rather than building a brand new timber frame which replicates the style of a certain era. For those of you who may be considering restoring an old New England barn – or any historic building for that matter – this blog is meant to highlight some of the best reasons to go old. So here they are – in no particular order – my own assessment of the top five reasons to invest in restoring a vintage timber frame! The United States of America is a relatively young country. In many ways we lack a rich architectural heritage like that of Europe, Asia and the Middle East. As our society moves ever faster, we tend to put an emphasis on consumerism and acquisition, promoting what’s new and forsaking the old. It is up to us to preserve the historical artifacts that remain from our not-so-distant past. The old barns that dot New England’s landscape tell of a time when colonialists from Europe ventured across the vast Atlantic in hopes of creating a better life for their families. They and their decedents built these barns, and also fought in the American Revolution and Civil War. It is these same people who created the foundation of our society today. 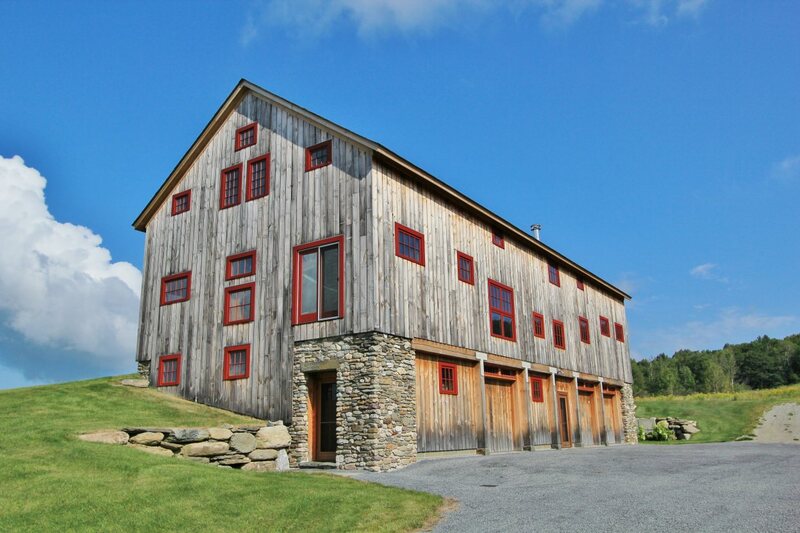 The structures we preserve at Green Mountain Timber Frames are the homes they lived in, the storehouses that kept their grain dry and the barns that housed their livestock. It is these historic barns that are disappearing, dissolving slowly into the landscape as they fall into disrepair and neglect, or are simply torn down. By saving and restoring an old barn, we are doing our part in preserving the history of this country for generations to come. In a society where new things are acquired constantly from box stores, outlets and through Internet transactions, we tend to forget that resources are limited and that not everything, always will be replaceable. By restoring historic timber frames, we are doing our part in preserving some of the most precious resources of our world. We are reusing wood of the finest quality rather than cutting down new trees and letting old frames rot. And in addition to the physical preservation, we are preserving stories as well – and a way of life and a style of construction that has long since been replaced by more modern techniques. The hand hewn look and feel of old wood cannot be replicated in a building made of new posts and beams. The patina that surfaces after old hand hewn beams have been washed varies greatly, depending on the type of wood: chestnut becomes honey blond; pine becomes dark golden. These beautiful textures cannot be manufactured. Like fine wine, the craftsman’s original art improves with age. While it may not be scientific or measurable, there is a real sense of magic that comes from living in a building built centuries ago. The romance and the history have soaked into the timbers and each restored barn brings with it a special feel – an energy that seeps through the walls or flickerings of memories from previous owners. Even the finest replicas cannot quite capture the special feeling that comes from living in a historic building. 4) Trees – they don’t make them like they used to! Timber frames built before 1800 were constructed from trees that had never been intentionally grown and harvested. The forests were “original,” the trees hundreds of years old. In steep contrast to these old growth trees which boast 40-60 growth rings per inch, today’s trees have only 6 to 10 growth rings per inch and are intentionally planted and farmed. The old trees stood close together, allowing for the tight growth rings to form. Structurally, old growth wood is a very different timber with far more strength and fewer knots. The factory wood used today simply cannot compete. Listen carefully and every timber frame will reveal stories about its past. In some frames we have restored, these stories are told in newspapers stuffed between timbers or old coins found buried beneath the floor boards. 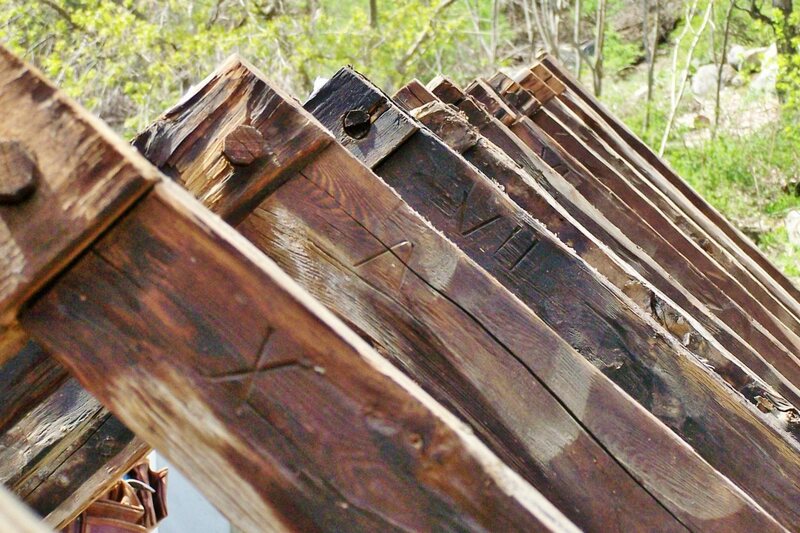 In others, there are old numbering systems to be deciphered on the original timbers. Often times, when I first come to visit a historic property, the current owner will tell me a bit of the history of the building. Handed down over the generations, these buildings hold stories of love and family, of tragedies and miracles. Just this past week, I wrote in my blog about the Ira, VT barn that miraculously survived a fire in the early twentieth century. Each barn comes with its own unique story, a collection of physical evidence and memories that can be felt, heard and learned over the years. Part of the fun of living in an old timber frame is learning about the specific history of that barn. I always enjoy exploring this history together with my clients and trying to uncover as much as I can by speaking to previous owners and neighbors and by making careful observations of the wood. Do you think I missed a good reason to restore an old barn? Let me know and we’ll add it to the list! This entry was posted in Frames in stock, Green Mountain Timber Frames, Post and Beam, Timber Frame Projects and tagged American heritage, available barn frames, colonial america, Historical New England, historical preservation, importance of preservation, New Endl, New England history, old barns, preserving historical buildings, preserving history, saving old barns, Vermont timber frame by Green Mountain Timber Frames. Bookmark the permalink.